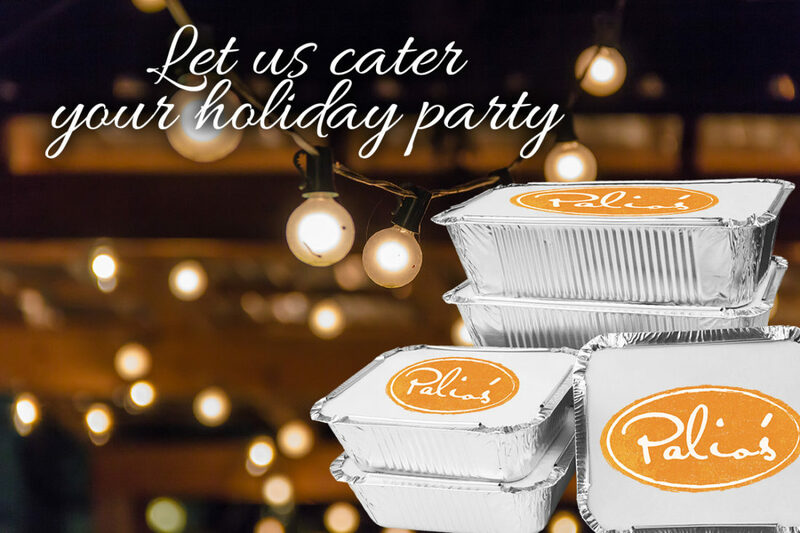 Let Palio’s Cater Your Holiday Parties! With the holiday season fast approaching, it’s time to start planning your parties! Lucky for you, Palio’s catering is the perfect option for feeding your guests. No matter which holiday you are celebrating, everyone loves taking the time to bring friends and family together for a fun evening of celebrating. We know that a lot of work goes into planning these get-togethers, from making sure the venue is decorated to confirming invitations, there is a ton to do. Why not let Palio’s take some of the stress off of your hands? With our catering, you can select from our full menu and we will provide the exact food you want. Everyone loves our pizza, but if you want pasta or salads, we have those too! And they are highly recommended by all who have tried them! No matter what you order, our food will leave your guests happy and full! We cater for a wide range of party sizes and are happy to help determine how much food you will need. If you need catering done for your holiday party, put your trust in a brand with several locations throughout the metroplex. Click Here to contact us and we will be in touch to work out the details of your event!